My Comments: As you’ve heard me say many times, Social Security benefits have become an absolutely critical piece of the retirement income puzzle for most of us. If it’s not there to pay critical monthly bills, it’s there to allow us freedom of movement as we transition from the retirement go-go years to the slow-go years and ultimately the no-go years. What follows here are good insights for you. Here’s how you can get the most out of Social Security. Many Americans will lean on Social Security pretty heavily during retirement. Data from the Social Security Administration finds that more than three out of five seniors currently rely on their benefits for at least half of their monthly income. Separately, a study from the Urban Institute estimates that an average-earning male ($47,800 in 2015 dollars) will net about $304,000 in lifetime benefits from Social Security if he turns 65 in 2020. That’s about $82,000 more in lifetime benefits than Medicare will provide for this same individual. Your retirement benefit from Social Security, assuming you’ve earned the prerequisite 40 lifetime work credits, is derived from four factors — three of which you can control. It’s based on your earnings history, length of work history, claiming age, and your birth year. This latter factor is what determines your full retirement age, or the age at which you’re entitled to receive 100% of your retirement benefit. In its simplest form, if you sign up before your full retirement age, you’ll accept a permanent reduction in your payout of up to 30%, depending on your claiming age and birth year. Similarly, waiting until after your full retirement age to enroll could boost your payout by up to 32%, depending on your claiming age and birth year. You can begin receiving retired worker benefits at age 62, or any point thereafter, but be aware that your benefits grow by approximately 8% for each year you hold off on enrolling. The first thing you’ll want to do is assess your long-term health outlook to the best of your ability. Admittedly, trying to guess our own expiration date is nothing any of us can do with accuracy. We can, however, factor in our own medical history, and that of our immediate family, to determine whether or not we’re in poor, good, or excellent health. Your overall health and longevity outlook will help determine whether claiming early, late, or somewhere in the middle makes sense. People with chronic health conditions and/or those with immediate family members who haven’t reached the average U.S. life expectancy of 78.8 years, according to the Centers for Disease Control and Prevention, are often best served claiming benefits earlier. While waiting would boost your monthly payout, claiming early and immediately receiving a payout will usually maximize what you’ll receive over your lifetime. Conversely, waiting until ages 68 to 70 and boosting your payout well above your full retirement age benefit can be worthwhile for seniors in excellent health who’ve had parents or grandparents live into their 80s, 90s, or even 100s. Waiting can produce a significantly higher lifetime payout by ages 85 and up. If you’re in good, but not great, health, then claiming around your full retirement age might be a wise decision. Again, it’s something of a crap shoot, but the smartest thing to do is take the information we have about our health and apply it as best as possible to our claiming decision. 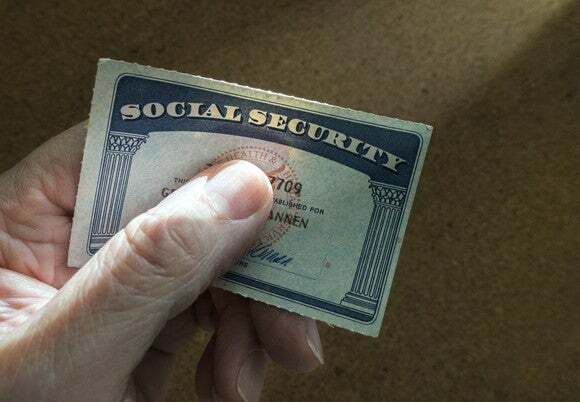 The second question you’ll want to answer to ensure you’re making the best Social Security claiming decision possible is: How will this claiming decision affect those around me? For instance, if you’re an unmarried elderly individual with no dependents, then your claiming decision really is your own to make. What you do should affect you alone. On the other hand, if you’re married, your claiming decision could have implications on your spouse. As an example, if you’re the higher-earning spouse and file for benefits before reaching full retirement age, and you wind up passing away before your lower-earning spouse, the maximum survivor benefit that your lower-earning spouse may be eligible for will be reduced. Elderly couples should also work on coordinating claiming strategies to maximize what they receive while they’re alive. Higher-earning spouses often benefit by waiting until their full retirement age or later to sign up for Social Security. Letting this larger benefit appreciate makes sense given that it’ll have the biggest positive impact on the couples’ household income later in life. Meanwhile, couples can sometimes gain by having the lower-income spouse claim early in order to generate some income for the household while the larger benefit grows. Perhaps the most important question you’ll want to ask yourself is this: How reliant will you be on Social Security? Generally speaking, the more reliant you’ll be, the greater incentive you’ll have to wait before signing up. One of the bigger mistakes made by enrollees is filing for benefits early if you have little or nothing saved for retirement. If your nest egg is practically nonexistent, then you’re probably going to lean very heavily on Social Security during your golden years. If this is the case, the last thing you’d want to do is file for benefits early and permanently reduce your monthly payout. Instead, you should be working during your 60s, assuming you’re in good enough health to do so, and allowing your wages to cover your living expenses. This way your Social Security payout can keep growing, thus allowing you to maximize your monthly payout. How reliant should you be on Social Security? I believe the ultimate goal should be to have no reliance on Social Security income whatsoever. In other words, your ability to save and invest for the future allows your Social Security payout to be nothing more than icing on the cake. But for the average American, it’s designed to replace about 40% of working wages. As long as you have a primary source of income, and Social Security isn’t it, you’re doing something right and should be in decent shape during retirement. If you take your health, your marital/dependent situation, and your expected reliance on Social Security income, into question when making your claiming decision, you’re liable to find the best claiming strategy for you.